Leading up to King of Pro Wrestling 2018, Shingo Takagi was revealed as the newest member of Los Ingobernables De Japon. The former Dragon Gate ace had amassed an impressive resume elsewhere in the world of wrestling, but when it came time to ply his trade in NJPW, it made sense that he partner with a man he trained with at Animal Hamaguchi’s Gym years earlier. Although initially engaging in junior heavyweight competition, Takagi would declare himself an ‘openweight’ and that showed in his combination of speed and explosive power. 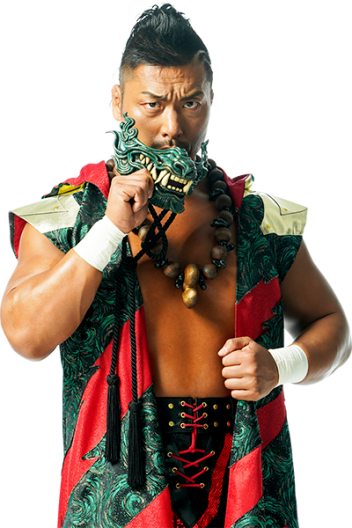 Instantly making a mark, he won the IWGP Junior Heavyweight Tag Team Championships with BUSHI at Wrestle Kingdom 13, and continued a march of dominance into 2019, still not being pinned or submitted in a NJPW ring.